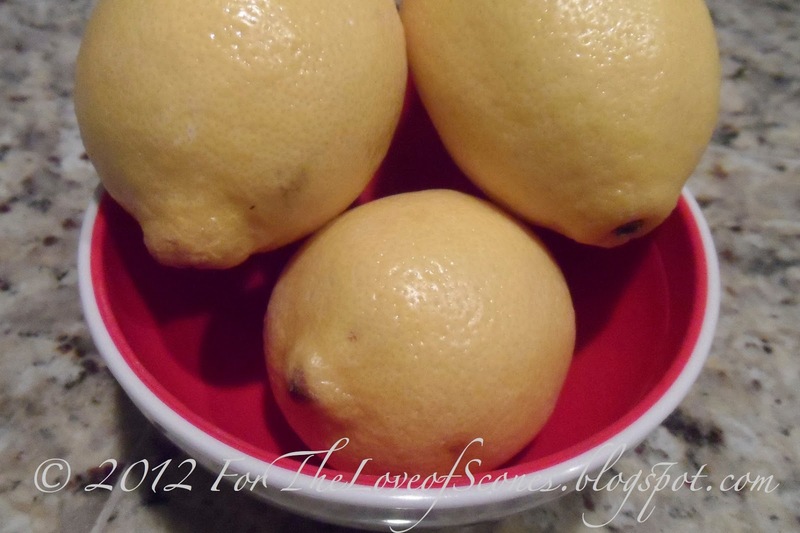 Lemon treats can be refreshing or overpowering in my opinion. I was a bit skeptical of liking these scones when I stumbled upon the recipe, but decided to give them a shot. 1. Preheat the oven to 400ºF. Line a baking sheet with parchment paper or a silicon mat. 2. 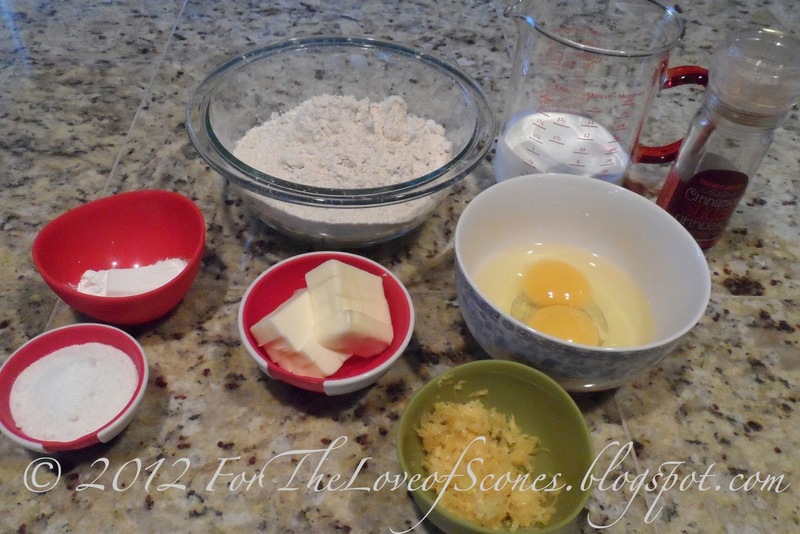 Combine dry ingredients including zest (flour, sugar, baking powder, salt & zest) in a large bowl. 3. In a glass measuring cup or small bowl, combine the eggs and heavy cream and whisk lightly to mix. 4. Add cut up butter to the dry ingredients and blend with a pastry blender, fork or your fingertips until the mixture resembles coarse sand. 5. 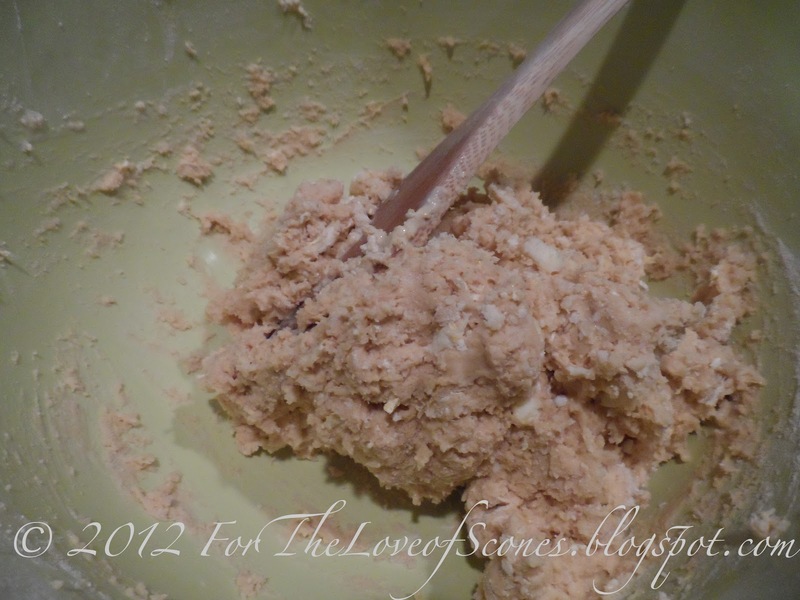 Add the eggs and cream to the dry ingredients and give a few turns with a wooden spatula until the dough becomes shaggy. 6. 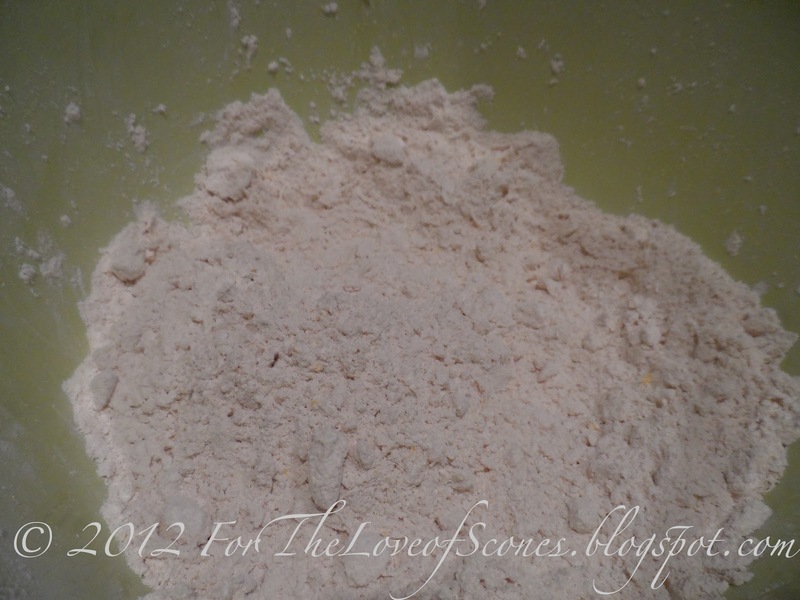 Turn the shaggy dough out onto a lightly floured countertop and give 5 or 6 kneads until the dough just holds together. 7. Flatten the dough into a round about 1-inch high. 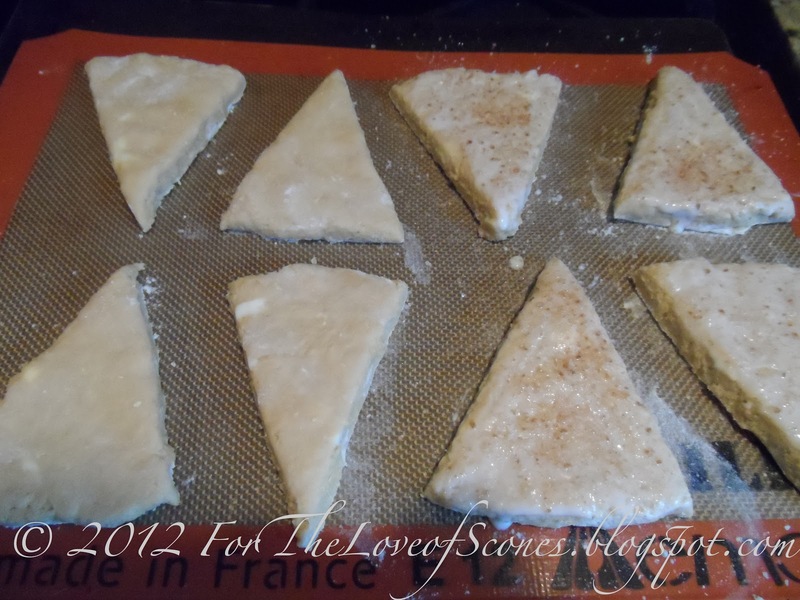 Cut into 8 pieces with a knife or dough scraper. 8. Sprinkle with the cinnamon sugar mixture if desired. 9. Bake at 400ºF until crusty and golden brown, about 15-20 minutes. 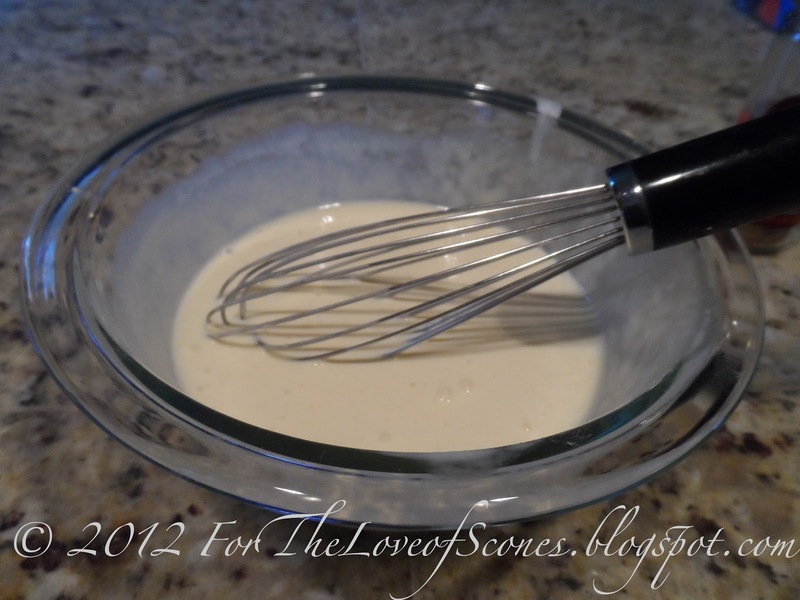 Whisk together the eggs and cream before adding to the dry ingredients. Dry ingredients with the butter worked in. These were a bit on the wet side for scones. Ready to bake, with only half dusted with the cinnamon sugar blend (not worth it in my opinion). These are light and refreshing scones that would pair well with tea. I’m not huge on lemon flavoring, but these weren’t overpowering, and merely came out fresh. I don’t know that I’d try the cinnamon sprinkle again, it didn’t add to the flavor in my opinion.